You’ve discovered something during your time with Linux — you like KDE! The default layout feels familiar to former Windows users. Plus, being able to tweak everything seems to sum up what Linux is all about. You’re in love. But are you having the best KDE experience you could have? Or are you diving in for the first time, and you’re looking for a place to start? Either way, point your eyes toward these five distributions. Each will install Linux on your computer and set you up with a KDE workspace and applications. They just do so in different ways. Ubuntu is the world’s most popular desktop Linux distribution. The experience is well-known for being welcoming to Linux newcomers. Its Unity desktop uses a dock that isn’t all that different from what you may have encountered on a MacBook. 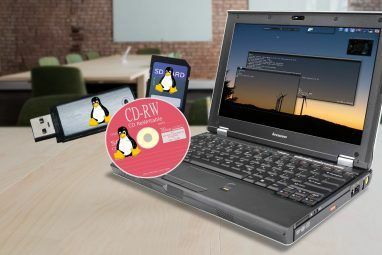 It’s also not for everyone 5 Alternatives To Unity For Ubuntu Users [Linux] 5 Alternatives To Unity For Ubuntu Users [Linux] We’ve previously written about Ubuntu’s Unity desktop environment, which we touted as a "big leap forward" for Linux when it was introduced with Ubuntu 11.04. Unity was certainly a big leap in a new direction,... Read More . Fortunately, you can install a different desktop environment. Kubuntu is a variant that ships the KDE Plasma workspace instead. Canonical (Ubuntu’s developer) has little involvement in the project. Past and present Ubuntu features such as Ubuntu One, the Ubuntu Software Center, the Dash, or the HUD, never officially came to Kubuntu. That doesn’t mean you have to lose all of Ubuntu’s benefits. Kubuntu users keep access to Ubuntu’s large repository of software. Plus they can add Personal Package Archives, which developers use to distribute applications. Being a part of the Ubuntu ecosystem makes Kubuntu an ideal place for newcomers to experience KDE. KDE neon began as Project Neon, a way to test out the latest versions of KDE on Kubuntu. The process involved installing Kubuntu and adding a PPA. The developers have decided to simplify the process. You can download and install KDE neon as you would any other Linux distro How to Enjoy the Latest KDE Plasma Releases With KDE Neon How to Enjoy the Latest KDE Plasma Releases With KDE Neon Want a pure KDE experience with updates received as quickly as possible? If so, then you really ought to consider KDE neon. Read More . There’s a version aimed at users and another for KDE developers. KDE neon runs on top of Ubuntu long-term support releases. Like Kubuntu, you maintain access to the Ubuntu repositories. KDE neon provides the fastest access to the new KDE updates, but non-KDE updates don’t arrive quite as quickly. KDE neon’s fast updates makes it the best option for users who must have the latest KDE releases ASAP. Kubuntu and KDE neon both provide relatively pure default KDE experience. The desktops look like the screenshots on KDE.org. But both come with a few non-KDE applications such as Firefox, LibreOffice, or VLC. Chakra takes a purist approach. If an application wasn’t made using QT — the toolkit used to developer KDE — then it’s not easily available. The developers embrace the KISS model of computing. This means they provide what they consider the essentials to run a KDE desktop and little else. Unlike Kubuntu and KDE neon, Chakra doesn’t look to Ubuntu as its parent. Instead, the distro is based on Arch Linux. You install and remove software using Pacman, which requires opening up a terminal. The project uses a half-rolling release model, so applications receive continuous updates while the core remains stable. Chakra’s narrow focus makes it ideal for users who not only prefer the KDE desktop, but who also stick with KDE applications. 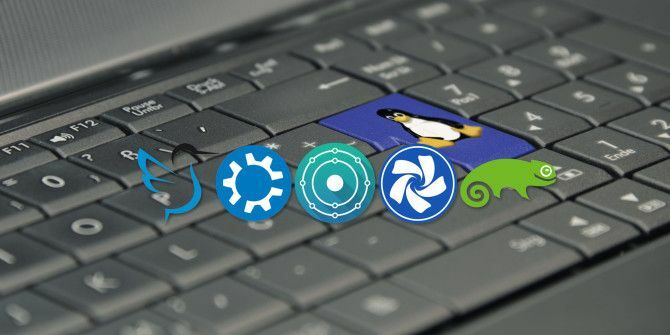 There are deep connections between the openSUSE and KDE communities, with SUSE developers making significant contributions over the years. As a result, openSUSE has a reputation for providing a quality KDE experience. openSUSE is a little less concerned with providing a pure KDE desktop. In the past, the interface was heavily themed, with the Geeko icon and green wallpapers welcoming you by default. Though newer versions do make fewer changes. openSUSE provides its own software, such as YaST, which handles most system configuration and software installation. openSUSE also has no reservations about providing you with non-KDE software out of the box. openSUSE lets you select any desktop environment you want, but it defaults to KDE. This differs from Ubuntu and Fedora, which both prioritize GNOME-based desktops GNOME Explained: A Look at One of Linux's Most Popular Desktops GNOME Explained: A Look at One of Linux's Most Popular Desktops You're interested in Linux, and you've come across "GNOME", an acronym for GNU Network Object Model Environment. GNOME is one of the most popular open source interfaces, but what does that mean? Read More . The difference, really, is that openSUSE doesn’t treat KDE like a second-class citizen. With its own personality and plenty of non-KDE software, openSUSE is a great option for pragmatic users who prefer using a blend of QT and GTK-based applications to get things done. None of the above distros make substantial changes to the default Plasma desktop layout. That can result in experiences that all feel somewhat identical. KaOS takes a different approach. Instead of shipping the Plasma desktop in an unchanged form, this distro tries to be unique. It makes changes to the interface that some users find useful. From a technical standpoint, KDE is a great option for this sort of creativity. Developers don’t have to patch the Plasma desktop to make changes. 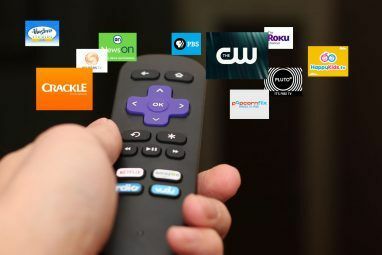 The interface is already widely configurable — KaOS just provides alternative defaults for you. KaOS is a great option if you prefer each Linux distro to provide a distinct experience. Which Distro Is Right for You? Kubuntu was the first KDE distro I ever used. This was in the pre-Unity days, and I felt the Oxygen theme provided a more modern experience How To Make GNOME Applications Look Like KDE Applications With Oxygen-GTK [Linux] How To Make GNOME Applications Look Like KDE Applications With Oxygen-GTK [Linux] Are you someone who'd like to use KDE but still keep the GNOME apps? The integration of those GNOME apps (which rely on a theme engine known as GTK) with KDE's appearance (where KDE uses... Read More than Ubuntu’s slightly modified version of GNOME. In the years since, I’ve dabbled with various other KDE implementations. No matter what changes a distro makes, the Plasma desktop may not be for you. That doesn’t mean you have to give up on KDE. LXQt is an alternative desktop environment built using KDE technology LXQt: A Lightweight Linux Desktop Environment Built With KDE Technologies LXQt: A Lightweight Linux Desktop Environment Built With KDE Technologies Do you like the look of KDE, but wish it were less resource-hungry? 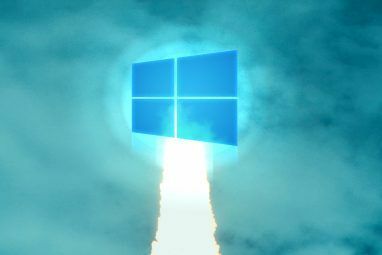 With LXQt, your wish has finally been granted. Read More . Which distro introduced you to KDE? Which did you settle down on? Would you recommend it to others? Share your experience with fellow readers in the comments below! Explore more about: KDE, Linux Desktop Environment. I'd recommend the KDE spin of fedora, as other commenters have already pinpointed. Manjaro is also another good alternative which was also highlighted by other commenters here. You left out the KDE "spin" of Fedora. I used Kubuntu since 2009, but as Ubuntu makes more dumb go-it-alone decisions like the Mir display server and Snappy packaging, KDE is less and less aligned with a Ubuntu base. Meanwhile Fedora has cutting-edge developments done right (Wayland, Flatpak, UEFI secure boot, etc.). I've run the KDE spins of Fedora 24 and now F25 beta with no problems. Manjaro all the way. It automatically insalls nvidia drivers and gives you easy access to kernel selection. Can also access arch user repo. Haven't found any reason to go back to kubuntu. What about Pclinuxos 64 KDE? I've been using that one for years. I didn't care for Mint KDE though. I think Mint is best with MATE .